This is the standard 0.0 Degree Ball Joint kit for the front axle knuckle/spindle for the 07-18 JK Wrangler and 99-04 WJ Grand Cherokee. Ball Joint kit contains parts for only one side. 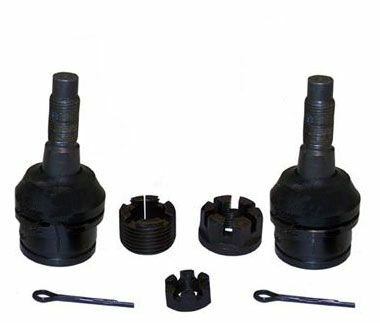 Ball Joint kit contains: 1 upper and 1 lower ball joint with nuts.